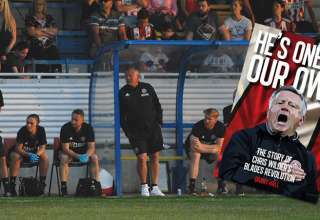 Sheffield United are hosting an evening with three of the core of Dave Bassett’s squad, the popular Sheffield lads Carl Bradshaw, Dane Whitehouse and Mitch Ward. 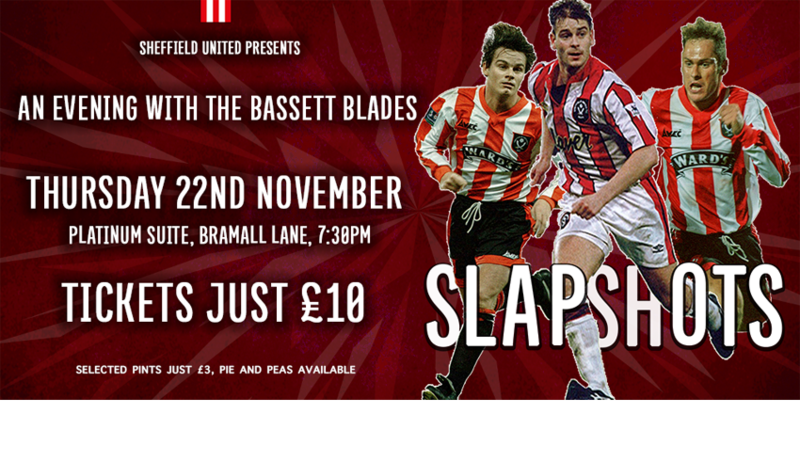 “Join ‘The Slapshots’ as they provide a snapshot into the crazy world of Bassett’s Blades at Bramall Lane. On Thursday 22nd November, Carl Bradshaw, Dane Whitehouse and Mitch Ward will all take to the stage in the Platinum Suite to talk about their life and times with their beloved Blades. The Sheffield lads who have lived the dream and formed the very core of what made that era so special. They were nicknamed “The Slapshots” after the mad ice hockey team in the classic Paul Newman film by the late, great Derek Dooley as a result of their antics, and the name has stuck! All three are hysterically funny, brutally honest and Blades to the very core. 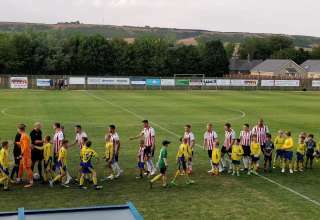 This promises to be a fantastic evening for all Blades fans to come down and enjoy. 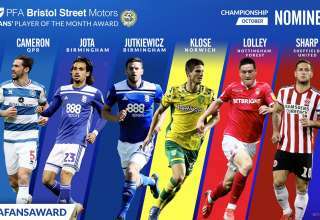 Tickets are priced at just £10 and are available now at the Sheffield United Box office. 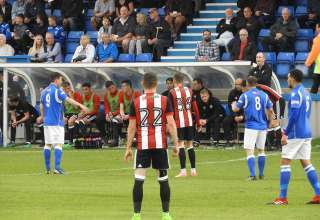 There will be food available to purchase, in addition to promotional offers on selected drinks, whilst exclusive merchandise will also be on sale on the night.